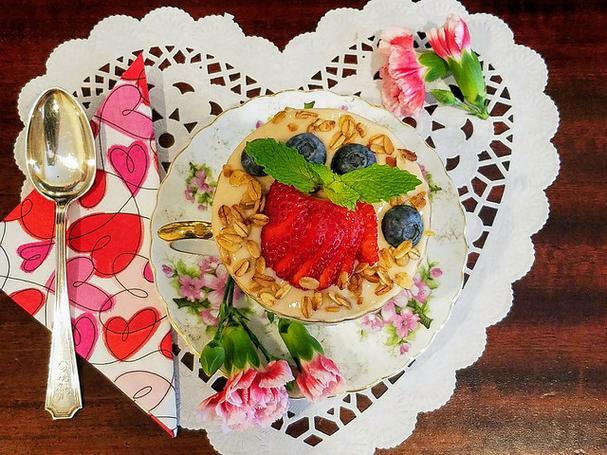 Foodista | Kids Will Love This Valentine's Day Tea Party! 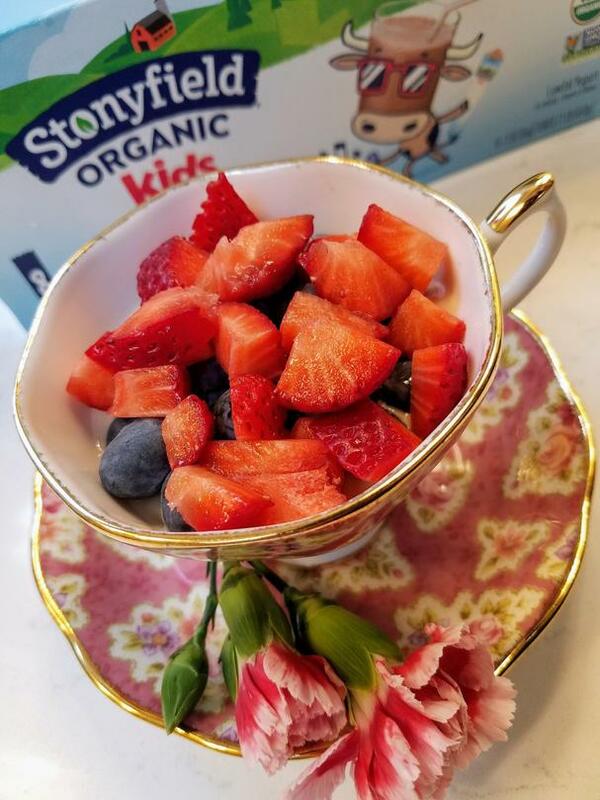 My daughter is mad about yogurt, so Stonyfield® Organic Kids® yogurts sponsored this post and I'm hosting a Valentine's Day tea party for her and her friends. Little kids just love tea parties, and what's not to love? Dainty little cups, tasty treats, and an all-around fun time had with friends (with lots of giggling in between!). 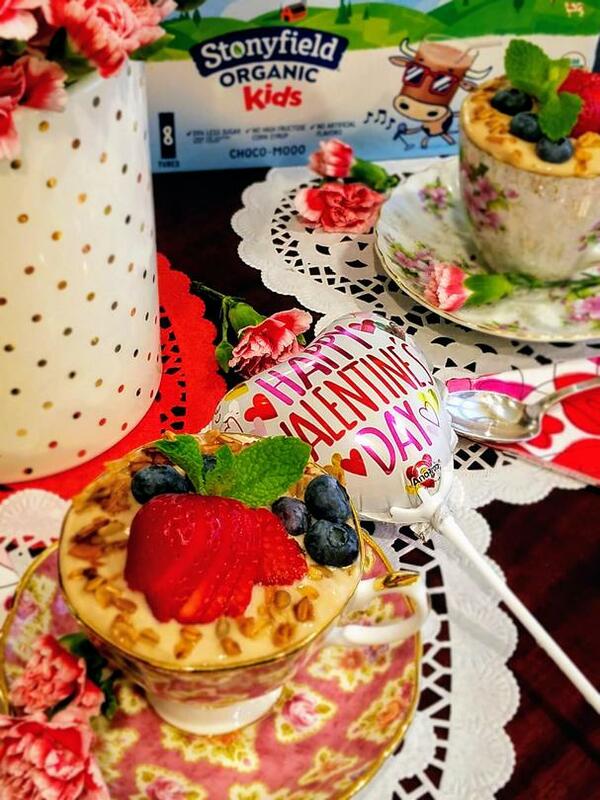 This Valentine's Day, skip the sugar-loaded treats and make these fun organic yogurt parfaits for an afterschool tea party. They're easy to make, are filled with fresh and healthy fruits, and feature the brand NEW Stonyfield® Organic Kids® Choco-Mooo yogurt! Their products have up to 40% less sugar than the leading kids’ yogurt plus, they're certified organic and non-GMO, which means as a mom I know I'm feeding my daughter something I trust is devoid of toxic pesticides, artificial hormones, antibiotics, and GMOs. And, the yogurts contain live active cultures, making them great for bellies! But what's most important to my kid and her friends is taste, and that's what this fun tea party is all about! Hosting a tea party is a great way to pull out that family silver and china that rarely gets used (seriously, why wait for the holidays?). If you don't have these items, check your local second-hand shop for inexpensive teacups. It's fun to mix and match! A simple tablecloth, a few flowers (sprinkle some of them on the table, too! ), maybe some festive doilies or heart-shaped cutouts, are all you need to set the stage for your party. 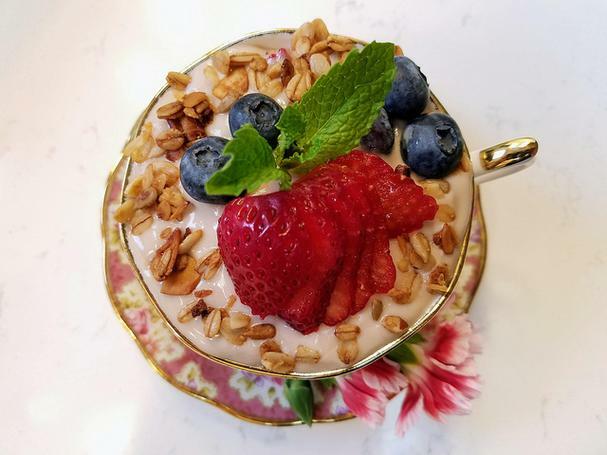 These scrumptious parfaits are deliciousness in a teacup and can be made in a flash. Simply layer the parfaits luscious chocolate yogurt, fresh berries, and granola. Easy peasy and so delicious! Your little ones will think they're having dessert before dinner! Note: it's also tasty to use a fruit flavored Stonyfield® Organic Kids® yogurt along with the Stonyfield® Organic Kids® Choco-Mooo. Just use 1/2 a serving of each per teacup. Place a few blueberries in the bottom of each teacup. 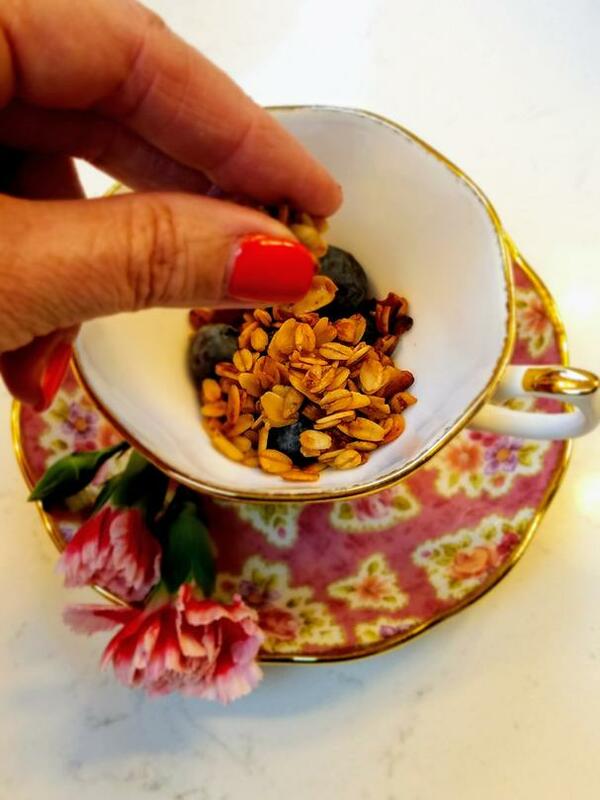 Sprinkle with a layer of organic granola, about 1 tablespoon per teacup. 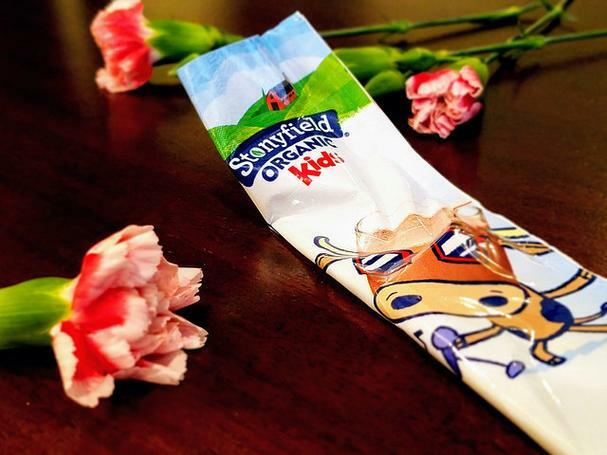 Add half a tube (or pouch or container) of Stonyfield® Organic Kids® Choco-Mooo. Top with a few more blueberries, diced strawberries, and sprinkle with granola. Top each teacup with the remaining yogurt and garnish with fruit, a sprinkle of granola, and a sprig of mint. Serve and listen to the squeals of happy children. P.S. Big kids and grown-ups will love these parfaits, too (wink). Thank you to Stonyfield® Organic Kids® for sponsoring this post! Your products truly rock.